Via Stampatori is one of Via Garibaldi’s narrow side streets, just a stone’s throw away from Piazza Castello, the lounge of Italy’s first capital, Turin. “VIASTAMPATORI” B&B rises in an Italian renaissance jewel. 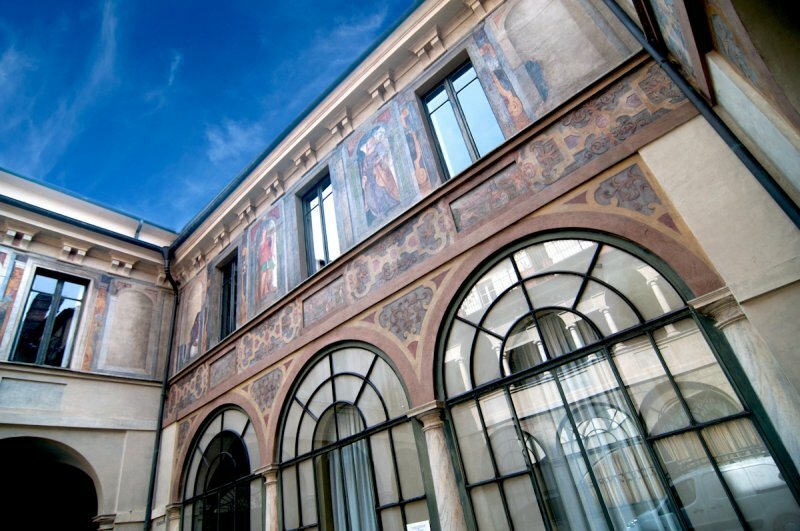 You will sleep in the floor of Palazzo Scaglia di Verrua, one of the oldest palaces still existing in Turin. You are surrounded by furniture and design objects, the result of good taste and careful research by Elena Boggio. Let yourself be pampered by the silence and the services offered, an island of serenity in the heart of Turin. Be enchanted by Turin, nestled between the Alps and rich in history and culture, including centuries-old traditional restaurants and shops .. you will be amazed.